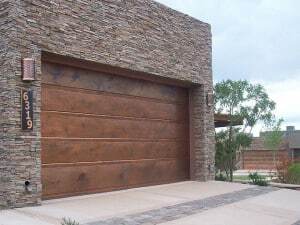 Green Oaks Garage Door Repair & Installation | Overhead Garage Door Inc.
What does it mean to be a resident of Green Oaks? It means taking pride in the beauty and serenity of your community and helping to preserve the tranquil atmosphere of your home and neighborhood. If your garage door sustains damage from extreme weather or an unfortunate accident, it can make your home stand out as a blemish on the neighborhood. But we know you lead a busy lifestyle as a Green Oaks home or business owner, and that’s why you should leave the repairs to the dedicated professionals at Overhead Garage Door Inc.
As a certified dealer of industry standard Clopay Garage Doors, Overhead Garage Door Inc. continues to provide Green Oaks customers with the highest quality residential and commercial products, excellent customer service, and value that can’t be beat. We have a reputation as not just meeting, but exceeding our customers’ high expectations, and our constant mission is to improve the value and curb appeal of your home or business. Our association with Clopay means we can offer our customers the widest selection of styles for a fully customized, easy-to-use, and beautiful garage door. Our technicians are highly experienced and trained to install any of the new doors or openers in our vast range of top-notch products. They also make urgent repairs both quickly and affordably and go the extra mile to provide customers with total satisfaction in their work. No matter what the issue is—a minor mechanical problem, damage caused by the climate of Green Oaks, or scratches and other cosmetic damage—Overhead Garage Door Inc. will restore the original function and beauty of your garage door so that you can once again take pride in your home. Our professional staff will arrive at your property on time, review the problem, and go over every potential solution with you before providing an estimate for the repairs. We even offer 24-hour-a-day emergency services with technicians standing by. Product Lines: All Green Oaks residents and business owners are invited to review our complete selection of products, listed below. 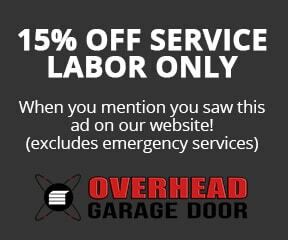 We hope we can help you with your every garage door need. Our goal is to assist you in showcasing the home of your dreams on a property that is worthy of the community of Green Oaks. We are RV owners and in the winter when we aren’t on the road, the Truck stays in the garage. We recently upgraded at the RV Show and when we took delivery, we realized why we got such a great machine and deal. The height was atypical and a full 8 inches higher than our previous machine. Most frustrating was that it wouldn’t fit in the garage. We immediately called the company who put in our doors (Overhead Garage Door) and we were told that the door didn’t need replacing, just one more panel. All of a sudden, a 2k tragedy became nothing more than a 400 dollar hiccup. Thanks folks.